Jessica initially got into landscape architecture after hearing her sister throw the idea around for herself. Thanks to sibling rivalry, she decided to steal her sister’s idea! After graduating from Lincoln with a Bachelor of Landscape Architecture (Hons) in 1999, Jessica gained a firm design base working in Queenstown for 5 years on a variety of projects including residential, subdivisions, resorts and wineries. 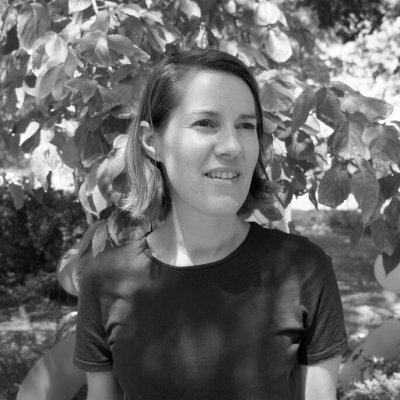 In 2004 Jessica left for Hong Kong for a ‘change of pace and scale’ – and lead major residential, commercial and public realm projects throughout South East Asia, India and the Middle East. After eight years (instead of the intended two) she returned home to New Zealand and began work at Goom Landscapes in November 2012. One of the things she enjoys most about her work is knowing that someone is living in the space she has made for them – then seeing them being used in unexpected ways. She is a Registered Member of the New Zealand Institute of Landscape Architects (NZILA). Outside of work, Jessica enjoys touch rugby and hiking, as well as indulging a passion for growing, eating and drinking good Kiwi produce. Fun fact: The first concert she ever attended was The Exponents at the Onekawa Pub.